Director Rajkumar Gupta's films might not be musicals but his films always have had some interesting music and he knows how to use songs well in the narrative. He is also the man who can take the credit for introducing Amit Trivedi to the world with 'Aamir'. Though 'Aamir' was Amit's second film as a composer after 'Dev D', the former released earlier. Amit has been credited with the 'music and original score' of 'Raid' but it is Tanishk Bagchi whose two songs, both being recreations of classics by Nusrat Fateh Ali Khan, are being talked about the most. Gupta gets to have his favourite Trivedi for two original songs and the background score and T-Series get in Tanishk for two recreations. Tanishk Bagchi does a neat job at recreating "Sanu Ek Pal Chain" and "Nit Khair Manga". While recreating the former, he adheres to the sound and compositional structure of the original track but he shows some good creativity by tweaking a few things while giving his own spin to the latter. The inclusion of Nusrat Fateh Ali Khan's from the original track in "Nit Khair Manga" comes as a pleasant surprise. It is nearly an impossible task to better a Nusrat Fateh Ali Khan composition but Tanishk pays a good tribute to the maestro through these two songs. Papon immerses himself completely in "Jhuk Na Paunga", a rousing composition by Amit Trivedi that displays the strength of character exhibited by the tough income tax office Ajay Devgn plays in the film. The song also benefits hugely from the simple yet meaningful verses written by Indraneel. The arrangements are quite interesting what with the track starting off with a layer of horns and trumpets playing in the background and then, switches to a lilting, tabla backed sound. "Black" starts off with a familiar prelude largely consisting of the sound of pads and electric guitar. 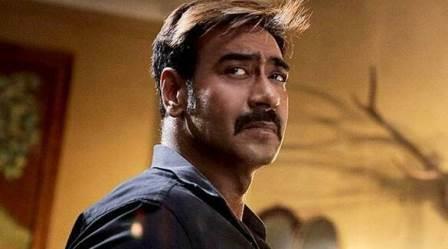 The song tries to make a comment on black money hoarders and is expected to be heard in the film when Amay Patnaik (Ajay Devgn) goes about conducting raids I different places. The highlight of the track is some smart wordplay by Indraneel. This is not the kind of song one would like to play on an audio system and is expected to make an impression while one sees the film on the big screen. 'Raid' is a good album with two songs ("Sanu Ek Pal Chain" and "Nit Khair Manga") that are going to benefit tremendously from the fact they are classics and have been re-imagined well by Tanishk Bagchi. Amit does well with his two songs too. While "Jhuk Na Paunga" is a lovely track, "Black" should make a good impression when teamed with visuals.